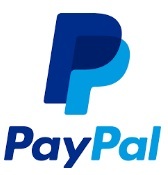 PayPal Holdings, Inc. is an American company operating a worldwide online payments system that supports online money transfers and serves as an electronic alternative to traditional paper methods like checks and money orders. Paypal released the latest recruitment notification for software engineer position in Bangalore.The Job applicant who are interested to join as software engineer position 2017 2018 must apply Paypal online application.All the Applying candidates must graduate from any recognized university or Institute with good academic result.All the interested candidates can find below job details and official notification. Regarding Paypal Off campus,Interview important dates,Job details such as Educational Qualification, Age Limit, eligibility criteria,selection Process,Salary Pay Scale information is given below. So before apply read the below job details very carefully. All Willing and eligible job seeker can apply now Paypal software engineer position through below provided link via www.freshers-job.com. The primary role of the Engineer is to provide expertise and deliver code for the incentives platform systems and components. This person is a highly technical, who understands the e-commerce domain very well, and is well versed in the software implementation. PayPal technology stack for the platform include components in java like services, daemons, batches etc. to work, the candidate should be able to work on these stacks or pick it up with relative ease. Beyond this, the successful candidate is expected to be multi-disciplinary, and is a multi-talented member of the technical team. The individual is expected to be a self-starter and a team player, with a strong drive for results and continuous innovations. The individual should be able to deliver work with minimal supervision.